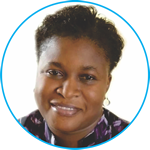 TOPE-OJO Oludayo has over eighteen years experience in nursing spanning through general nursing practice including Med-Surg; maternity; PACU; ICU; public health; administration; education and research. She has served in various organizations which include Lagos State Ministry of Health, Lagos State Schools of Nursing and Midwifery, where she was an educator and clinical teacher for nine years, her latest engagement was as a Senior Assistant Registrar of Nursing and Midwifery Council of Nigeria (NMCN) where she coordinated the Indexing Unit and was Secretary to Planning, Research and Statistics Unit. She has also served on various committees including Human Health Resources Planning, a Committee of the Federal Ministry of Health of Nigeria; IHVN committee for the development of Pre-Service Nursing Curriculum for HIV Management and several curriculum development committees of NMCN. She is a graduate of Nursing Science from Obafemi Awolowo University, a registered nurse RN; registered midwife RM and a registered public health nurse RPHN. She is a trained adult teacher, experienced preceptor and clinical teacher. 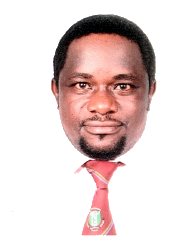 Highly referenced for his specialized Gynaecological Surgical skills, Dr Ojo is a quintessential medical practitioner and a fulfilled Obstetrician and Gynaecologist. He graduated with the Bachelor of Medicine, Bachelor of Surgery degree (MBChB) of the Obafemi Awolowo University Ile Ife in 1993, and also did his Postgraduate Residency Training at the OAUTHC Ile Ife. As an astute political leader and activist, he was former secretary and later president of the Association of resident doctors of Nigeria OAUTHC branch. Former Vice Chairman Nigerian Medical Association (NMA) Lagos State, former Chairman Nigerian Medical Association (NMA) Lagos State. A fellow of the National postgraduate medical college of Nigeria (FMCOG) and Fellow West African College of Surgeons(FWACS), he was a Consultant Obstetrician and Gynaecologist at the Lagos Island Maternity Hospital, Lagos. He is a consultant of Obstetrician and Gynaecologist at the Federal Medcial Center Ebute Meta Lagos, also visiting consultant OBY/GYN to several high grade hospitals in Lagos. Dr Ojo brings about 25 years medical experience as an asset to Afrimed Specialist Hospital. 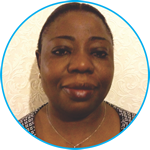 OJO Abimbola has over 23 years experience in nursing practice which covers all aspect of nursing from clinical to administration and education; health management and community practice. 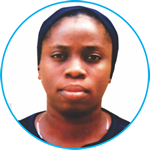 She has served as a nurse in various organizations including Lagos State Ministry of Health as a clinician, nurse educator and administrator. She also served as an Assistant Registrar with the Nursing and Midwifery Council of Nigeria (NMCN) where she anchored programmes on curriculum development, research and statistics, programme monitoring and evaluations. She is a graduate of Nursing from University of Ibadan, Nigeria with post graduate in Medical sociology also from University of Ibadan. Currently on a post graduate course in Nursing at University of Cape Town, South Africa. She is a registered nurse RN; registered midwife RM; and a registered Nurse Administrator RNA. A graduate of University of Ibadan, Nigeria, she is a registered nurse with NMC Nigeria and NMC UK. She has over 25years experience in clinical practice and nursing education. She has served in various capacities as a clinical nurse and these include Lagos State Ministry of Health as an educator, preceptor and a clinical nurse/midwife. She has worked with various health institutions both local and international. She has been a clinical and home care supervisor with organizations in the UK. She also worked as a volunteer, providing education; training, advice and referral support. 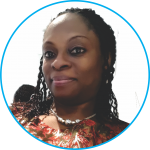 A graduate of Obafemi Awolowo University, Nigeria with over 19 years experience in nursing practice. She is vast in clinical teaching and community practice as a registered Public Health Nurse. She served as a nurse in various specialty with several organizations including Igbinedion University, Okada, Edo state and Lagos State Ministry of Health. RHS is guided and supported by senior medical experts, board of directors and professionals from diverse fields and industries. We also depend on a full and experienced team of MBAs; Human Resources Managers; Architects; Engineers and other Associate Consultants.